Bistrot tables await you to savour a cuisine inspired from the local produce. Traditional meals which often leads to cooking on a spit. The rotisserie allows us to cook whole sea bass fillets, pigeons, sausages and even pineapple for dessert. The seasonal produce can be found on the chef's menu which has set menus, (starter, main or main dessert) renewed every Friday. The Dish of the Day can also be taken away from the grocery store. On sunny days you will be able to enjoy our sheltered terrace, dressed in vegetation in the middle of the town centre. An unrivalled pleasure for the palate. 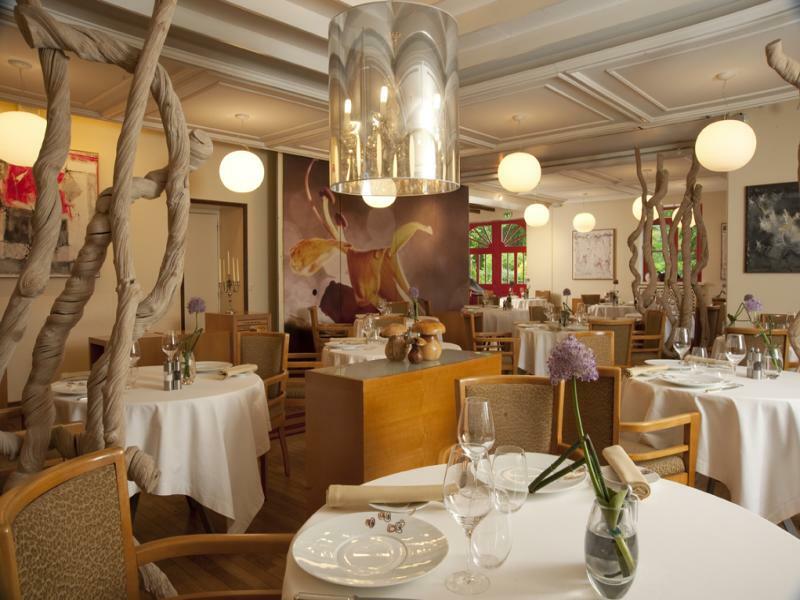 Our Chef Franck Quinton invites you on a voyage of discovery and reveals his forest cuisine. Resolutely creative, he embellishes gastronomic cuisine and traditional regional flavours. 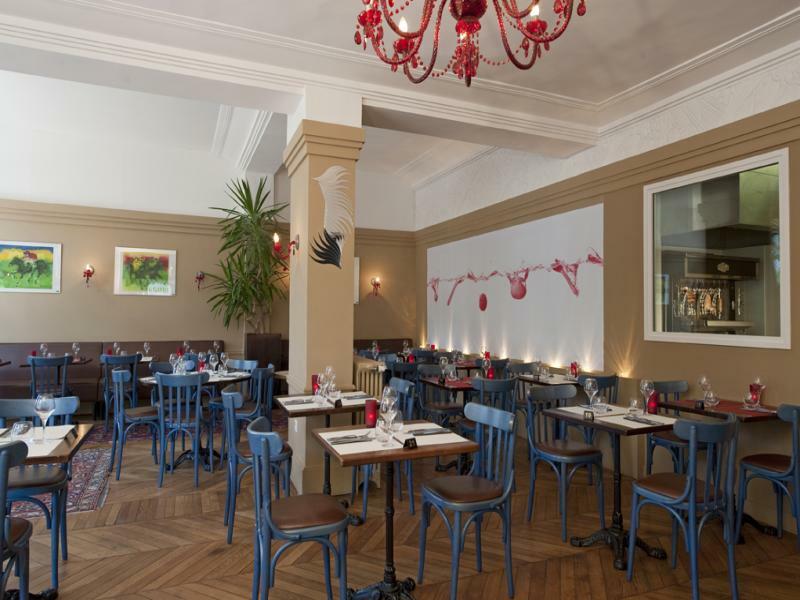 This inventive cuisine with the flavours of Normandy has been rewarded by a star in the Michelin Guide. Discover a restaurant with character and contemporary style, enriched by shapes, forms, light and colour to create an intimate and cosy atmosphere.